Robert Orenstein, DO, of Paradise Valley, Arizona, is the 2019 recipient of the highest award that the American Academy of Osteopathy (AAO) bestows on a nonmember. The award recognizes individuals who have demonstrated their commitment to osteopathic principles and to the osteopathic profession; have exhibited outstanding efforts and special contributions to promote osteopathy; have continuously shown support of and collaboration with osteopathic organizations; and have a vision that is complementary to the Academy’s mission. At the AAO’s annual business meeting on March 14 in Orlando, Florida, the AAO’s 2018-19 president, Catherine M. Kimball, DO, presented the AAO’s Academy Award to Dr. Orenstein, who is the 18th recipient of the award. Dr. Orenstein is a professor of medicine at the Mayo Clinic College of Medicine and Science, and he chairs the Division of Infectious Diseases at Mayo Clinic Arizona. In his practice at Mayo Clinic in Phoenix, he sees complex inpatient and outpatient infectious diseases. Dr. Orenstein has served as the editor-in-chief of The Journal of the American Osteopathic Association since January 2013, and he is a reviewer for a number of other medical journals and publications in his area of expertise. He is board certified in infectious diseases, internal medicine and HIV medicine and is a fellow of both the Infectious Diseases Society of America and the American College of Physicians. 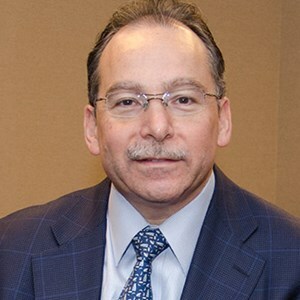 Dr. Orenstein received his BS in biochemistry from Trinity College in Hartford, Connecticut, and he received his DO from the Des Moines University College of Osteopathic Medicine and Surgery. He completed a residency in internal medicine at the Geisinger Medical Center in Danville, Pennsylvania, and a fellowship in infectious diseases at the Virginia Commonwealth University’s Medical College of Virginia Hospitals. He served for a decade as the director of the HIV/AIDS program at Hunter Holmes McGuire Veterans Medical Center and as medical director of the Virginia Commonwealth University HIV/AIDS clinic before moving to the Mayo Clinic in Rochester, Minnesota, in 2002. In Rochester, he served as the internal medicine residency coordinator for infectious diseases at Mayo, and he practiced inpatient and outpatient medicine as a member of both the divisions of infectious diseases and general internal medicine before moving to the Mayo Clinic in Arizona in 2010. Dr. Orenstein was appointed the chair for infectious diseases at the Mayo Clinic Arizona in 2012 and chair of the Mayo Clinic Enterprise Infectious Diseases Specialty Council in 2017. He has lectured extensively on topics of infectious diseases and has won several awards for undergraduate, graduate and CME teaching at Mayo.